The best of what I’m learning to help freelancers and creatives think bigger and earn more. Every day, I help freelancers and creatives improve their work and get more clients. 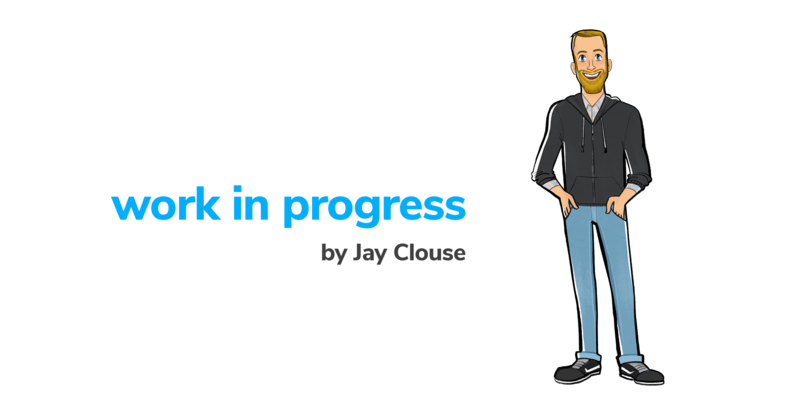 work in progress is a place where I share what I'm learning about freelance and creative work. Delivered every Sunday morning. “I love your emails, and that that’s an accomplishment because I hate newsletters. Your emails are the only newsletter I receive more than once a month and the first thing I read in the morning.” – Megan H.
“No one has has ever said, ‘I don’t get enough email.’ But Jay’s daily newsletter is one of a few emails I look forward to getting. His notes are thought provoking, honest, and actionable.” – Sean O. “Jay brings a perspective to life that’s fresh and exciting. He writes about his work, his accomplishments, failures, and journey. It’s a daily boost of inspiration and motivation.” – Andrew P.
“I’ve been receiving your emails for a few months now and I find myself reading them every day. Love reading the short narrative on your thoughts and experiences before I dive in on the day to day.” – Steve S.
“You do a great job taking ideas, distilling the information and incorporating how the idea permeates through your own experience. I’ve become acutely aware of the content I take in each day, eliminating or reducing the attention I pay toward things that don’t challenge my thinking – and can say that I look forward to your writing each and every morning.” – Thomas K.
“Really appreciate your authenticity in your emails. It’s very refreshing to see at least one regular content source that has a much more realistic approach than the normal “I have life 100% figured out. I’m so successful. Do this and this and this and you’ll be successful like me” inspirational pieces. So, thank you.” – Rosemary G.
“There’s something about Jay’s message that makes you feel he’s right there with you. Kind of like that trainer who’s not just encouraging you to do the reps, or push yourself that last mile, but actually right there next to you, doing the work with you. In his newsletters, I find wisdom, honesty and encouragement to keep going. I encourage anyone who needs to find someone to keep herself on course to seek Jay out and get started doing the work that will help her make the difference she wants to make.” – Chrissanne L.